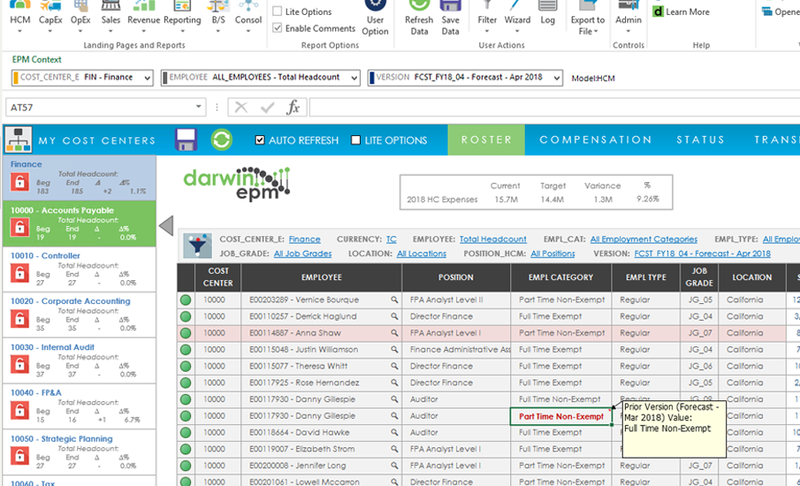 LOOKING TO AUTOMATE YOUR WORKFORCE PLANNING PROCESS? Employee related expenses represent a considerable portion of most organizations operating expenses. 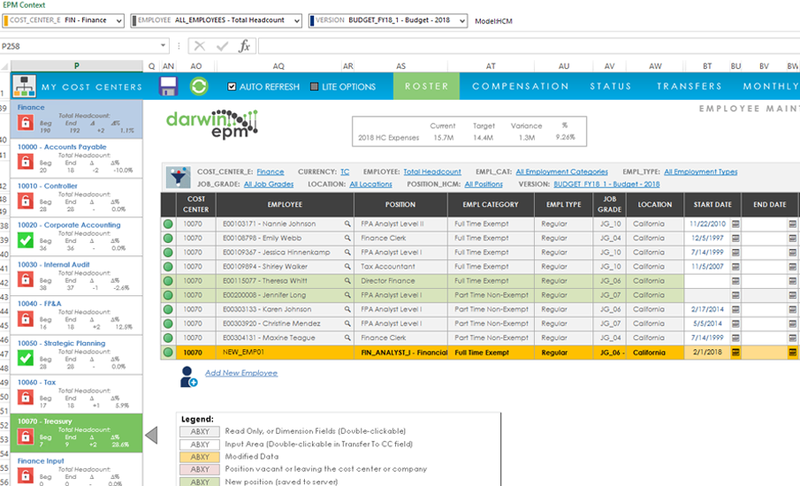 Having up to date employee information is critical to accurate P&L and cash flow forecasting. 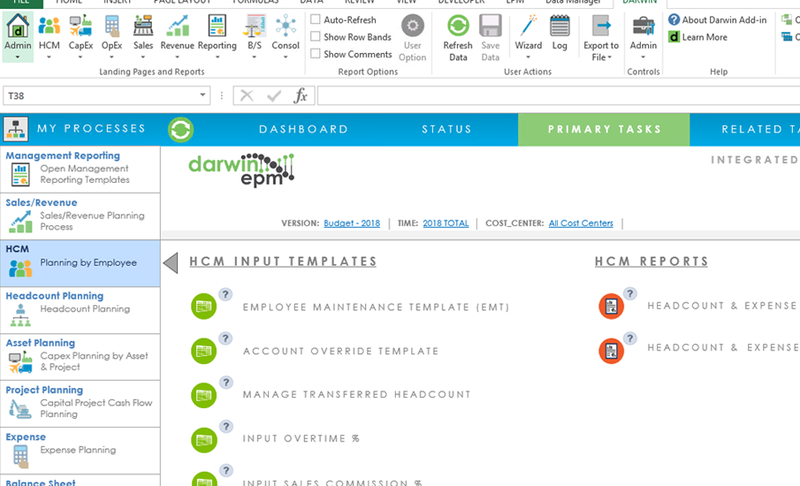 Darwin HCM integrates with your source HR system (e.g. 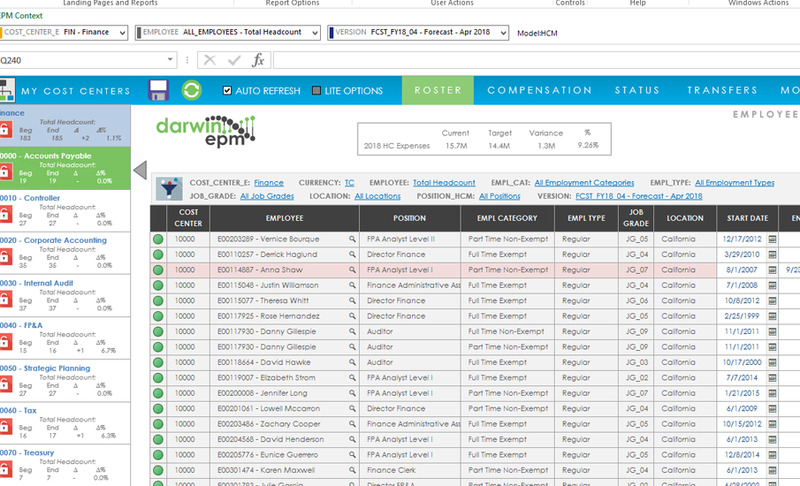 Workday, SuccessFactors, SAP HCM, etc.) 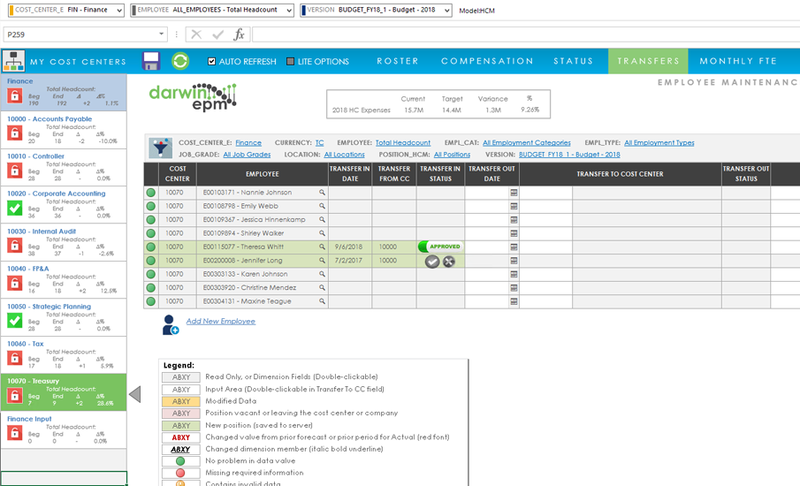 to provide accurate, update-to-date, labor plans based on the most up to date information available. 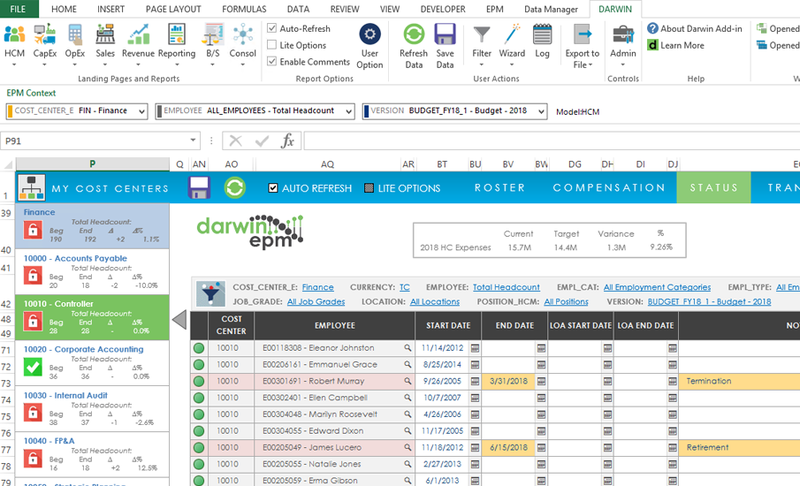 Whether planning by Employee, by Position, by High Level Headcount & Average Salary or all of these, Darwin HCM is flexible enough to handle the most complex scenarios with ease. 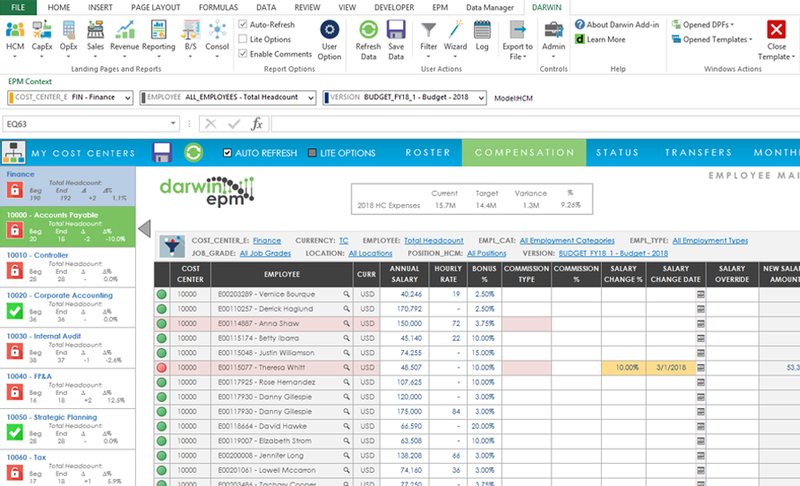 Darwin HCM provides the capability to easily update Merit, Tax, and Fringe assumptions globally or regionally and calculate the financial impact in real-time. 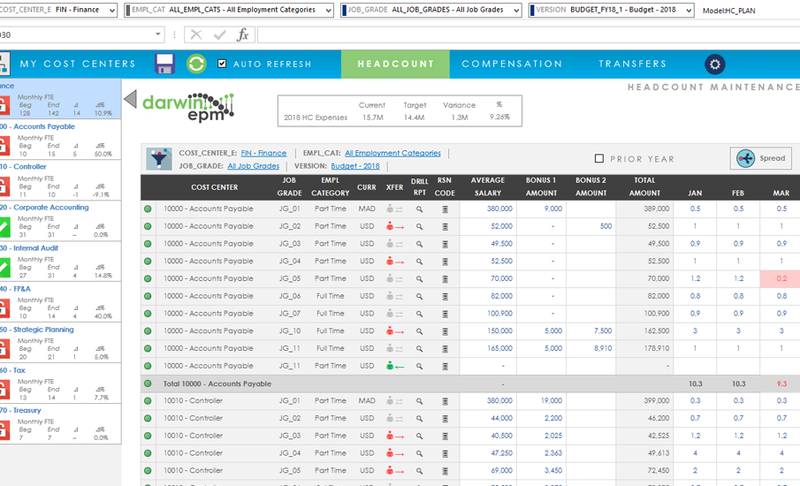 Cost center owners and Finance managers only need to manage by exception by updating known future activity not reflected in the HR system. Things like: new hires, retirements & terminations, transfers, LOA, and promotions. 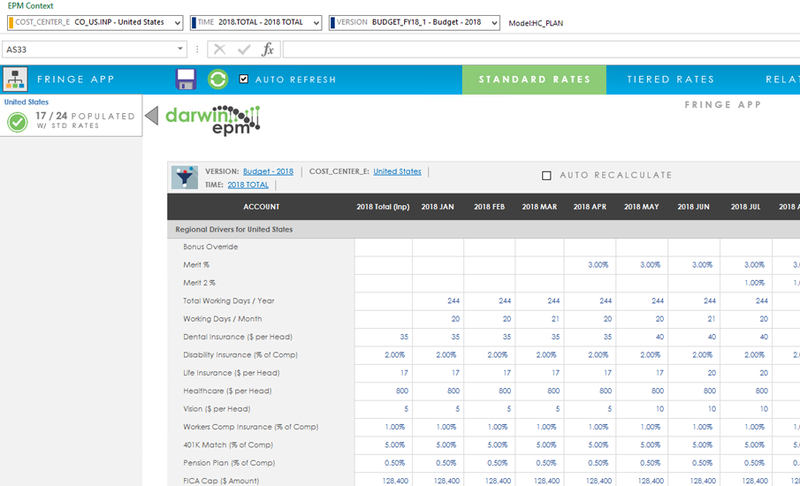 Yearly Budgets, Rolling Forecasts, and Long Range planning is fully supported. 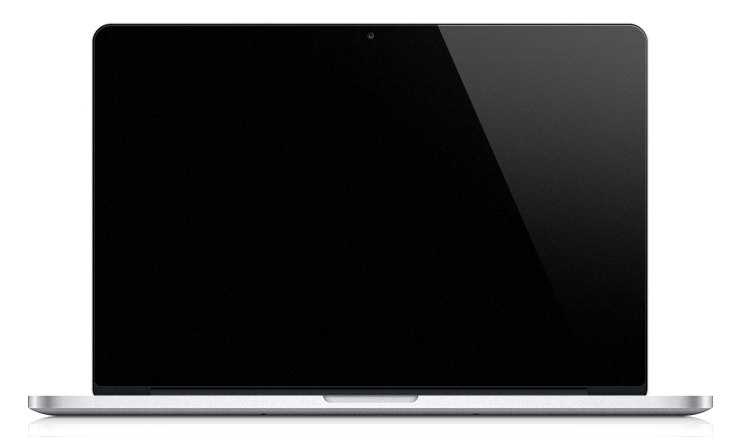 A robust security model keeps sensitive information safe. A well thought out reporting model that supports advanced analytics and ad-hoc reporting. 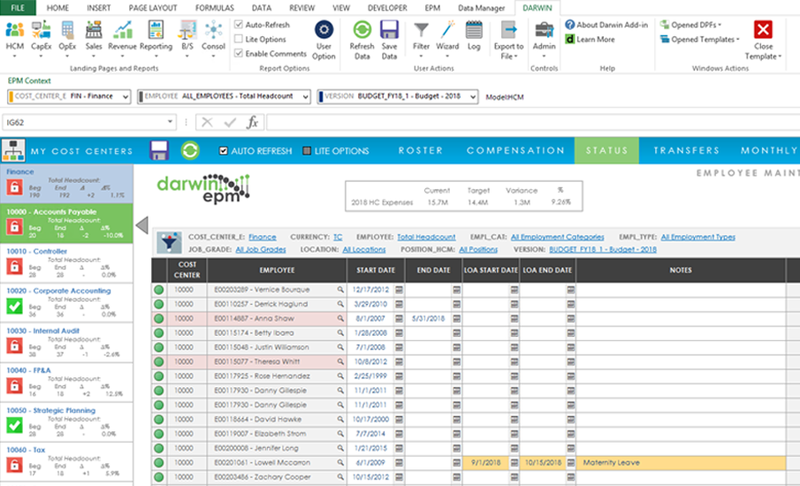 Many delivered reports that can be used out-of-the-box or customized for explicit requirements. Forecasting process provides the ability to seed plan with YTD actuals and prior budget/forecast data.